New York's homeschooling laws and regulations require reporting to the Department of Education (DoE). This paperwork may seem initally to be a big chore. But it gives us each power when we educate ourselves to know the law well, and the resulting paperwork helps to keep us organized and well-documented. Don't rely on overworked bureaucrats to inform you. Take the time to learn what is actually required by the law. A summary of what you need to file each year follows. See the DoE's calendar for homeschooling paperwork and links. Read a detailed explanation of the N.Y. regulations, written by Elsa Haas, director of PAHSI (Partnership for Accurate Homeschooling Information ), homeschooling parent and resident of NYC: "How the Homeschool Regulations Really Work: Practical Nuances of the New York State Regulations on Home Instruction". A Home Schooling information packet can be requested by calling (917) 339-1750. See also the New York State Education Department's Home Instruction Questions and Answers. 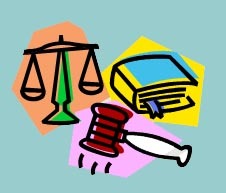 For homeschooling laws in other states, see State Laws, from the Home School Legal Defense Association (HSLDA). They also have a State Action Map, detailing current events and cases in each state. "I followed the formats you suggested on your website when I homeschooled my daughter last year for 8th grade, and it made my IHIP and Quarterly reports get accepted through the DOE without a hitch. You made our year of homeschooling stress-free. Thank you!!" Recently Asked Questions (RAQ), including What is the difference between home instruction and home schooling? NYHEN ( New York Home Educators' Network) is a state-wide organization of homeschoolers. Here you can learn about the latest changes in homeschooling regulations in NYS. As laws change, you can follow the discussions at the NYHEN Yahoo group. Note: Every state has different regulations. Find your local State Board of Education and more. PLEASE NOTE: current DoE policy is that official documents (Letter of Intent, IHIP, quarterlies, and annual assessments) CANNOT be sent by e-mail or fax unless Mr. Harrington makes an exception because of unusual circumstances for a particular family. If you go in person: The office is at the NE corner of W28th St, and the nearest subway station is the 28th Street stop on the Number 1 line. Be sure to call ahead and make certain someone's there. They see visitors between ten am and noon. IF YOU RECEIVE A NOTICE OF NON-COMPLIANCE BUT HAVE SENT IN YOUR PAPERWORK, call one of the numbers above and let them know. In the past homeschoolers who filed on time have received Letters of Non-Compliance in error. Don't let an intimidating letter alarm you. You must formally withdraw your child from school in order to avoid harassment from social services. Recently parents have been complaining so much that the HSLDA is suing NYC (insert link to article and petition here). There is nothing in the homeschooling regs about having to inform the school. Sending the school a copy of the letter of intent (LOI) should suffice, but personal stories shared by homeschooling parents lets us know that this is not working! Parents end up having to face social service workers who show up at their door unannounced expecting to find children whose education is being neglected. To avoid this, go down to the school in person, with a copy of your homeschooling paperwork such as the LOI and formally withdraw the child from the school in person. Parents who are new to homeschooling in NYC, or whose children have never attended a NYC public school, are currently required to submit copies of birth certificates and proof of residence with their initial paperwork only. An insurance card may be accepted in place of a birth certificate. Theoretically, any proof of age, such as a passport or perhaps even tax records, should suffice. If you have difficulty providing the birth certificate and the proof of address, citing the Regulation of the Chancellor A-101 (pdf format) to the DoE may be helpful to you, since (in an effort to protect kids who are residents of domestic violence shelters, refugees with no birth certificates, illegal immigrants, etc.) it spells out the necessity of admitting a student into a NYC public school (and therefore into the same computer system our kids are in) provisionally (until the birth certificate and proof of address can be provided). Note: this summary is brief and you are advised to study the regulations carefully. Find someone in your support group to help you the first time you do your paperwork. See Step 9: Create and keep records. You are required to submit a Letter of Intent stating your intention to homeschool your child. The LOI is due by July 1st or within two weeks of your decision to homeschool. The letter must include your child�s name, age and grade level. Download a sample LOI in MS Word or PDF format). Although it is not required by law, I strongly advise parents who are taking their kids out of school to send a copy of their LOI (Letter of Intent) to that school. You should not rely on the DoE to inform the school that your child is being legally homeschooled. Your LOI, addressed to the DoE, can also be sent to your child�s former school as a way of informing them of your intent to legally homeschool your child. If you homeschooled the previous year you must submit your IHIP for the next school year by August 15th. If you decided to homeschool midyear, then you must submit your IHIP within four weeks after receiving a response from the DoE to your letter of intent (which you should mail within twenty days of commencing homeschooling). You do not have to use the government IHIP forms. You can make your own. Make sure that you include all mandatory subjects for that grade level (see the regulations in detail for your child�s grade level), including those pesky little items like bicycle safety, health, patriotism & citizenship, and arson prevention. See our page on Grade Levels, Standards and Benchmarks and do note that homeschoolers do not have to follow the bd. of ed. guidelines, and do not have to write IHIPs or assessments that are at "grade level." Here are templates in Word format that you can download to fill out and use for your IHIP or Quarterly Report. One parent files the following very simple quarterly report, the same report for each quarter, after filing a detailed IHIP at the beginning of the year. [student] is progressing at a satisfactory level or above in all subject matter. We have had instruction in all the following areas, as per Section 100.10 of the Regulations of the New York State Commissioner of Education and Individualized Home Instruction Plan (IHIP): Reading, Writing, Spelling, Language Arts, Arithmetic, U.S. History, Geography, Science, Health, Physical Education, Music, and Visual Arts. We have covered at least 25% of the planned material for this quarter. [student] had no absences from instruction this quarter, and has exceeded the required hours of instruction (225). Four times a year you must submit Quarterly Reports that show progress with the educational goals set forth in your IHIP. These reports must also record the number of hours of instruction (225 per quarter or 900 per year in elementary school , for grades 7-12 that amount increases to 247.5 hours per quarter or 990 per year ) and the child's absences (none since, even when they are sick, homeschoolers continue to learn and are never absent). You may want to comply with your district�s request to have the quarterly reports filed at the usual times (Nov. 15, Jan. 30, April 15 and June 30, approximately), but the law states that you may furnish your own schedule for these reports. Testing is required every other year in grades 4 through 8 and every year in grades 9 through 12. This test serves as a year-end assessment. My kids did not test until grade 5, again in grade 7 and then in grades 9-12. In non-testing years you can still take a test and submit that for your year-end assessment. Or you can submit a narrative assessment. A Year-end Assessment is required with your fourth quarterly report (June 30). This assessment can be in the form of a narrative statement or home-made report card signed by the parent or instructor, stating that the educational goals for that year have been achieved. If a certified teacher is required and none is available, a peer review committee, made up of at least two experienced homeschooling parents, will suffice. The peer review committee would sign the year-end assessment statement. Starting in 4th grade, a nationally approved achievment test is required every other year, and starting at 9th grade, every year, to serve as the year-end assessment. See What tests are available for homeschoolers from our FAQ - Testing. A narrative can be a paragraph or even a sentence, or it can be like a report card with "PASS" or "A" next to each subject. I used one simple sentence for my narrative assessments. I wrote it as a cover letter and included it with my fourth quarterly report. In my third quarterly report I included a cover letter that stated what form my year-end assessment would take (either a narrative or a test if it was required that year). <<[Child's name] has met or exceeded all of the goals as set forth in her/his IHIP for the current school year [year to year].>> And then I signed it. It is not recommended to state that at least 80% of the goals have been achieved, since you might then have to prove that percentage. I never kept detailed accurate time records, and we strived for proficiency, not a number of hours. It is only necessary to state progress or improvement. One parent writes the following for quarterlies and assessments. For grades one through six: arithmetic, reading, spelling, writing, the English language, geography, United States history, science, health education, music, visual arts, physical education, bilingual education and/or English as a second language where the need is indicated. In New York State you must begin filing the year your child turns six by December 1st. BUT, New York City is no longer using Dec. 1 and instead uses December 31. This can change the year you must start filing as a homeschooler. To be certain that the December 31 date is in effect, contact the homeschooling office in June of the year your child will turn 6. Here is more info on the confusion of December birthdays. Kindergarten is usually age five, so filing is not mandatory for this year. If you do choose to file, the requirements are slim and include the following: health education regarding alcohol, drug, and tobacco misuse; highway safety and traffic regulation, including bike safety; and fire and arson prevention and safety. These requirements remain for K-12. Suggestions to cover this content at this age include the following. Take a trip to a local fire station, or visit the fire safety exhibit in Rockefeller Center: , or the NYC Fire Museum in Soho. Or you can just talk about fire safety in your own kitchen. For drug education that is age-appropriate, you can talk to a pharmacist or a pediatrician, perhaps about why you should follow the doctor�s dosage and be careful about medicines, or you could explain why cigarettes are bad for you. As you walk through the city you can pay attention to traffic signs (walk/don�t walk), right of way, bicycle lanes, why cyclists need helmets, etc. There is also a police museum in lower Manhattan, which can be very interesting. Of course, your five-year-old child need not be limited to the content required by the DoE. You can also visit libraries and museums and parks and have as big a learning adventure as you like. For more suggestions for this age, visit the Early Childhood page. To gain access your child's DoE file, go to the Homeschool Office in person and ask for your ARIS Parent Link password. Bring official NYS photo I.D. (such as a driver's license). Make sure that you are going during regular office hours (9:00 a.m. – 3:00 p.m.) when there is no school holiday, and make sure that your paperwork is all up-to-date and has been filed. You will be given your password which will allow you to check and make sure that your child's grade level and information is accurate, from the comfort of your own computer. If you find any inaccuracies, notify the DoE in writing, and be patient and persistent about asking for your child's records to be corrected. If your child decides to apply to a NYC public school at some point in the future, having accurate grade levels (past and present) on his or her record will be important.